A naked girl has washed up on the banks of the River Thames. The only clue to her identity is a heart-shaped tattoo encircling two foreign names. Who is she – and why did she die? Life’s already complicated enough for Janusz Kiszka, unofficial ‘fixer’ for East London’s Polish community: his priest has asked him to track down a young waitress who has gone missing; a builder on the Olympics site owes him a pile of money; and he’s falling for married Kasia, Soho’s most strait-laced stripper. But when Janusz finds himself accused of murder by an ambitious young detective, Natalie Kershaw, and pursued by drug dealing gang members, he is forced to take an unscheduled trip back to Poland to find the real killer. In the mist-wreathed streets of his hometown of Gdansk, Janusz must confront painful memories from the Soviet past if he is to uncover the conspiracy – and with it, a decades-old betrayal. Fantasyczny! 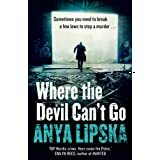 That would be my resounding verdict on this gripping debut by Anya Lipska, set both in the Polish community of East London with a interesting sojourn back to Poland itself. This is one read that definitely rises above the simple classification of police procedural in Lipska’s capable hands, and proves itself to be a multi-layered and culturally interesting reading experience as well. I think what I liked most about the book was the unveiling of a culture and way of life that I had very little knowledge of. Unafraid to confront the less savoury aspects of Polish society, but illustrating the parallel affection and respect for Polish culture, Lipska lays bare the traditions and mindset of an immigrant community where its inherent traditions are strongly adhered to, but not at the expense of adapting to life in its adopted city. The book is peppered with references to the intrinsic qualities of Polish culture, politics and history and what I loved is that although its evident how much Lipska knows about Polish life she didn’t fall into the writer’s trap of crowbarring in too much factual detail, or give an air of ‘showing off’ how much she knows, and personally I felt the balance between fact and fiction was perfectly weighted. 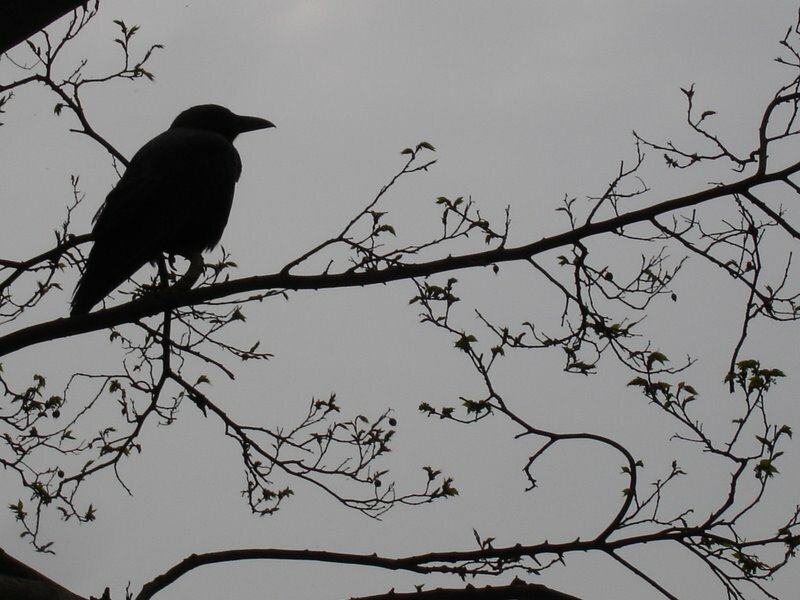 From the smattering of original Polish words, to food, to religion and so on, and a greater exploration of Poland’s tempestuous political history, I found this insight into Polish life significantly enhanced my enjoyment of the book, when juxtaposed with the central murder mystery itself. Janusz Kiska is a powerfully constructed character, reflecting perfectly the duality of the immigrant experience being tied to the needs and demands of his community, but also acutely aware of the concessions that need to be made residing in a foreign city. When tasked with investigating the disappearance of a young Polish waitress, Janusz proves himself to be a man of great honour with a terrier-like determination to track her down. In the course of his unofficial investigation, Janusz finds that painful memories of his pre-London life are reawakened, and an ill-fated trip back to Poland immerses him in a political conspiracy amongst the highest echelons of power. Janusz is an extremely empathetic character despite his gruffness, and a man that you would absolutely want on your side in times of trouble. I liked the way that Lipska used the character of the jocular and verbose Oskar as a foil to the natural solemnity of Janusz’s demeanour. Oskar is hilarious, foul-mouthed and a total liability, lifting the whole mood of the book whenever he and Janusz cross paths and I enjoyed their robust verbal sparring which proved an indicator of the depth of the friendship. Likewise, Janusz also comes to the attention of an eager young detective, Natalie Kershaw, investigating the death of a young girl. Kershaw again is a well-realised character, with a perfect balance of intuition and naivety, desperate to prove her credentials as a police officer, but at times subject to impulsive and dangerous actions that annoy her superiors. At first she has an inherent distrust of the charming Janusz, with the development of their relationship over the course of the book being nicely handled, and more importantly has an air of credibility, reflecting the differing constraints of their roles as civilian/police. I liked the way that Kershaw is subject to the demands of proving herself as a female detective in an extremely male-dominated workplace, and the occasional exposure of chinks in her armour exposing her tendency to doubt herself in matters of the personal. Thanks Jose- a total joy to read and review this one! Oh, so glad you liked this as much as you did!! It is a very well-written story isn’t it? And I love the look we get at a particular community in London. I loved this one, I’m so glad you liked it too! A fab read, gripping story and well written. Perfectly put Lindsay- hope people are rushing to buy as we speak! It’s a great book and was in my top 5 fog 2012. Glad you enjoyed it.